Many new gardeners are starting to plan their first adventure into our crazy, wonderful world. Without a little guidance from seasoned veterans, they often choose seeds and plants that are more challenging than their budding skills can handle. These plant profiles will feature time-tested seeds and plants that are easy to grow, but produce a great show. Novice gardeners often avoid roses because they feel that they require massive amounts of upkeep and attention. They hear stories about insect infestations, disease and rigorous pruning schedules that automatically give them pause when contemplating planting a rose bush. This may be true for some of the hybrid teas, but there are a number of roses that new gardeners (and experienced ones too) can grow with very little effort. 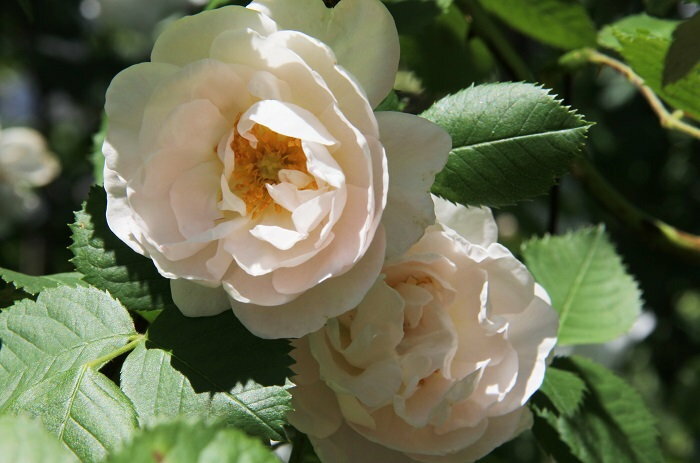 Many respected rosarians believe that Alba roses were a hybrid resulting from a cross of Rosa canina (the dog rose) and Rosa damascena (damask roses), but the facts are lost to history. Whatever their heritage is, the alba group of roses is quite lovely, have a fantastic fragrance and produce a lovely shrub that is attractive throughout the year. My alba is known by several names: 'Maxima', 'Jacobite Rose', 'Bonnie Prince Charlie's Rose and 'Cheshire Rose' just to name a few. 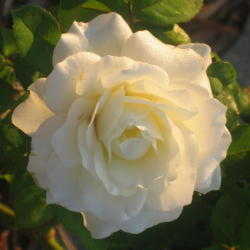 It is a fully double rose, having more petals than some of the others. However, all albas are noted for distinctive blue-green foliage that form an attractive, arching shrub with white to pink flowers that form substantial hips in the fall. 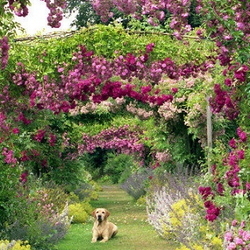 Albas only bloom once in mid to late spring, but the show and fragrance is well worth giving it a space in your garden. My alba is planted in full sun, but it is reported that they can grow well in conditions that are shadier. When choosing a garden spot, you should plan on your alba receiving at least 6 hours of full sun, but note that they do best with more. I didn't amend my soil and it is planted directly in the yard in a clay-based loam. The ground drains well and water never stands when it rains. It is never fertilized and the only pruning it gets is when I need to shape it. I take out a few of the oldest canes around the first week of February, but that's all the maintenance I do, other than remove any broken canes if we have an ice storm. It blooms during the month of May in my garden and the fragrance spreads throughout my 4 acres. It is especially fragrant in the evenings and nice for sitting outside nearby just to enjoy it. Albas produce large, attractive hips that turn red in the fall and are considered tasty by wildlife and birds. 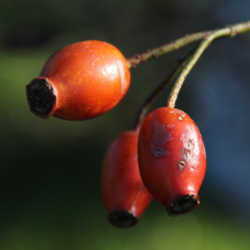 The hips are large enough to be harvested and since rose hips contain a significant amount of Vitamin C, many gardeners grow it for this purpose. I've made tea from my rose hips and it was quite nice. Check out my how-to article for instructions. The cardinals that frequent my birdfeeders in the winter find them especially tasty, so the alba is a good choice for a wildlife garden as well. Albas are trouble-free roses with the added attraction of a long historical record. For this reason, vendors still offer them today. It is also easy to propagate via cuttings or dividing side shoots, making it a perfect pass-along plant. They ask for very little and produce a beautiful show with flowers each spring and hips each fall. New gardeners wanting to try a rose can not go wrong by choosing an alba.